It’s a cliche to say that Minority Report-style interfaces are just around the corner. But not when John Underkoffler is involved. As tech advistor on the film, he was the guy whose work actually inspired the interfaces that Tom Cruise used. The real-life system he’s been developing, called g-speak, is unbelievable. 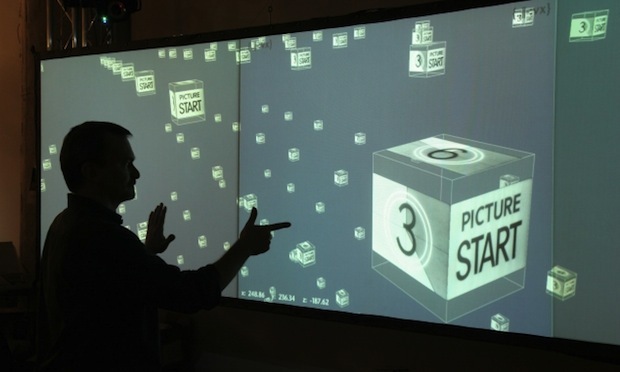 We’ve previously covered Underkoffler and his startup, Oblong, but in February, he unveiled his latest work at TED. The video was just recently put online. And. It. Will. Blow. Your. Mind. The video is 15 minutes long, but fast forward to 6:30 if you want to zip straight to the trippy stuff. Oblong hasn’t previously revealed most of the features you see in the later half of the video, including the ability zoom in and fly through a virtual, 3-D image environment (6:30); the ability to navigate a SQL database in 3-D (8:40); the gestural wand that lets you manipulate and disassemble 3-D models (10:00); and the stunning movie-editing system, called Tamper (11:00). Underkoffler thinks these gestural systems–which offer far more robustness than Microsoft’s Project Natal or PlayStation’s Move–are five years from being commonplace. And he thinks they’re not only cool, but necessary: “Much of what we want computers to help us with is spatial,” he says. And much of what computers do is easiest to understand and navigate if we tap a visual system we’ve spent millions of years evolving. Oblong, for its part, is making these things real: That SQL database is a logistics application you can easily see being gobbled up by supply-chain planners.